Choose from the DJs below for all styles of music mixes to fit your occasion perfectly. Choices tailored for your event include: lighting, intelligent lighting, bilingual emcees, cultural specialties, interation and motivation, DJs for children's parties, LED DJs and drumming, live musicians and dancers. Whether your event be corporate, private, an outdoor concert or your very special wedding day, our DJs and KJs will put the passion, elegance and excellence in your event to create a most memorable affair. DJ Antonio plays the hottest music mix to heat up the dance floor. 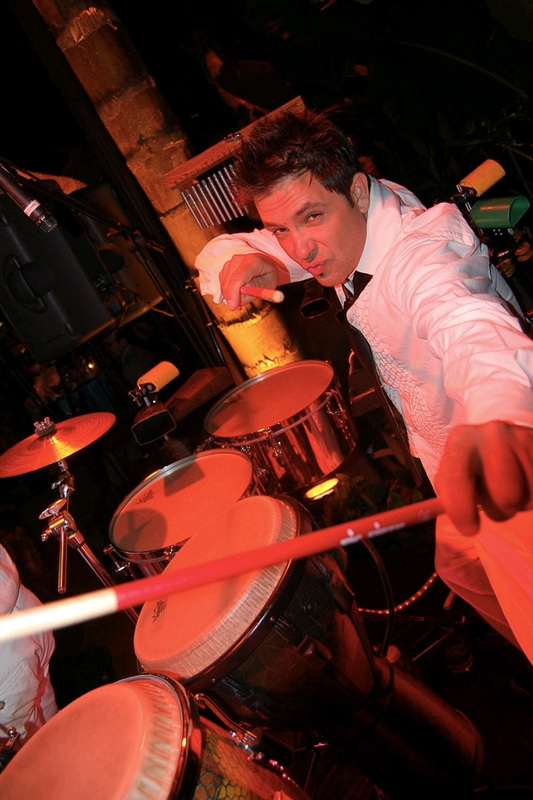 Antonio is first and foremost an entertainer -- a 5 star DJ with over 15 years experience. He is our most often requested DJ. He adds the energy and enthusiasm our clients want at their party and knows how to play the right music from a dance perspective to discern the crowd and keep the dance floor filled. 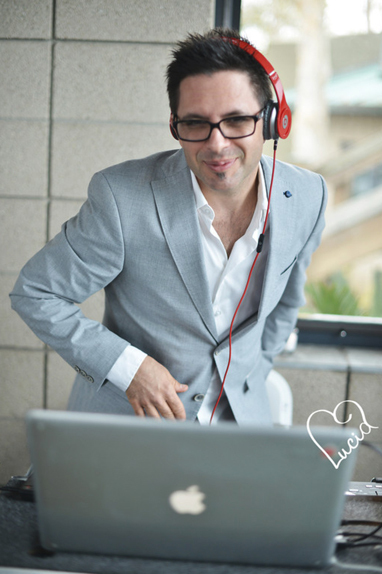 Because Antonio started as a pioneer Disco DJ and then fell in love with the Latin mix, he plays the best of all styles: from Disco to Salsa, Big Band to Hip Hop, whatever you need to move your soul. He also provides song books so your guests can have fun browsing and making suggestions. DJ & Karaoke with DJ Art DJ Art knows how to make your event memorable. With 15+ years of mobile DJ experience, his collection contains over 25,000 titles with current top 40 dance, big band, jazz, classical, 50s rock n' roll, 60s and 70s classic rock, Motown, and Salsa and more. His professionalism means enthusiasm, proper dress, back-up equipment and a continuous commitment to providing the best possible DJ services. He also has many games he can suggest for you and your guests, as well as providing foot-stomping music. For karaoke, he loves to cheer singers on with enthusiastic introductions and plays music in between the singing, so that there is no "dead space." Therefore, there's music always playing for the audience, so that the party stays up-beat and fun. Scott was fortunate enough to receive three Emmy nominations as a TV show host and has performed as an Emcee and a Disc Jockey at corporate and private events nationwide. 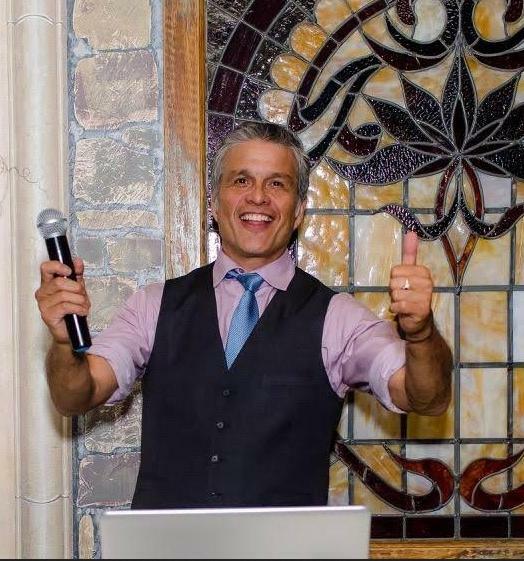 In the event entertainment business for over a decade, he is a Mitzvah industry professional who understands the intricacies of event music planning and looks forward to working closely with you to make your special event a success. All parties include personalized event planning and coordination, 1 Disc Jockey, 1 Master of Ceremony, state-of-the-art sound system (Rane Mixer, Denon 2600F CD Players) with 1 Shure SM-58 wireless mic, 2 EON G-2 powered Speakers, cables, stands, back-up speaker at your location, unlimited music selection, party motivation, and lots of fun. Now you can have the energy and excitement of a live performance without the cost of a band. 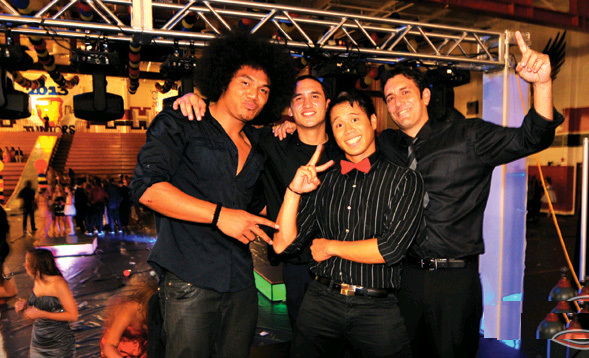 These incredible entertainers will turn up the heat with an energetic live show singing and dancing to tracks. Add as many vocalists/dancers as you want. They can engage the guests by teaching them dance moves. 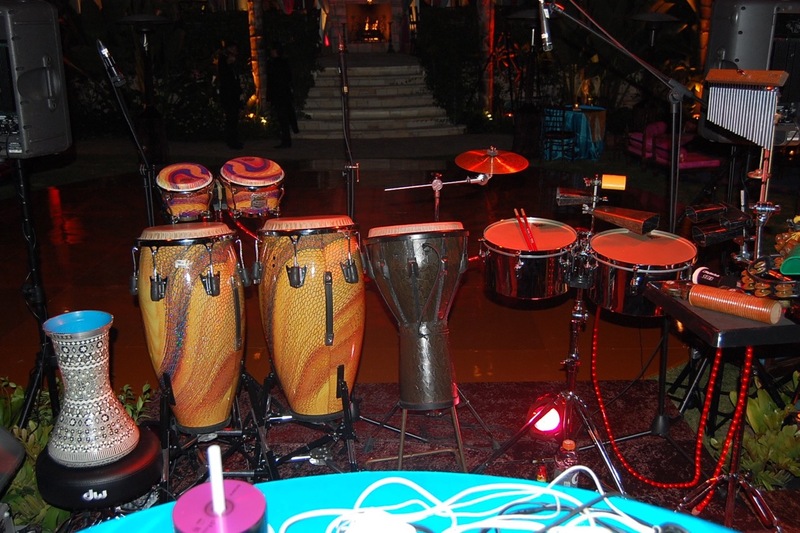 You can also add a DJ, live drummer or guitar player for added energy and excitement; the possibilities are endless. 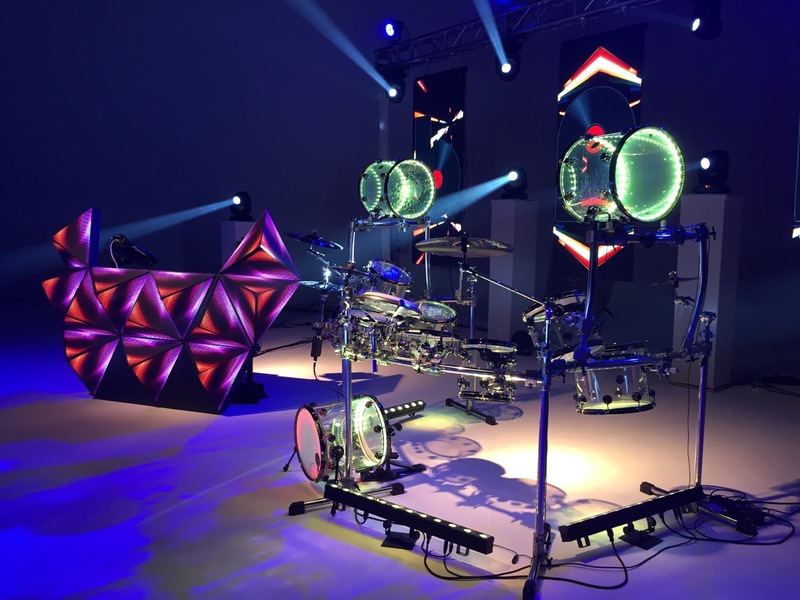 The first and only LED DJ & Drum Show, showcasing our signature custom-made LED DJ booth, acrylic drum set and a unique lighting show. High energy with futuristic vision made to move and energize your guests. 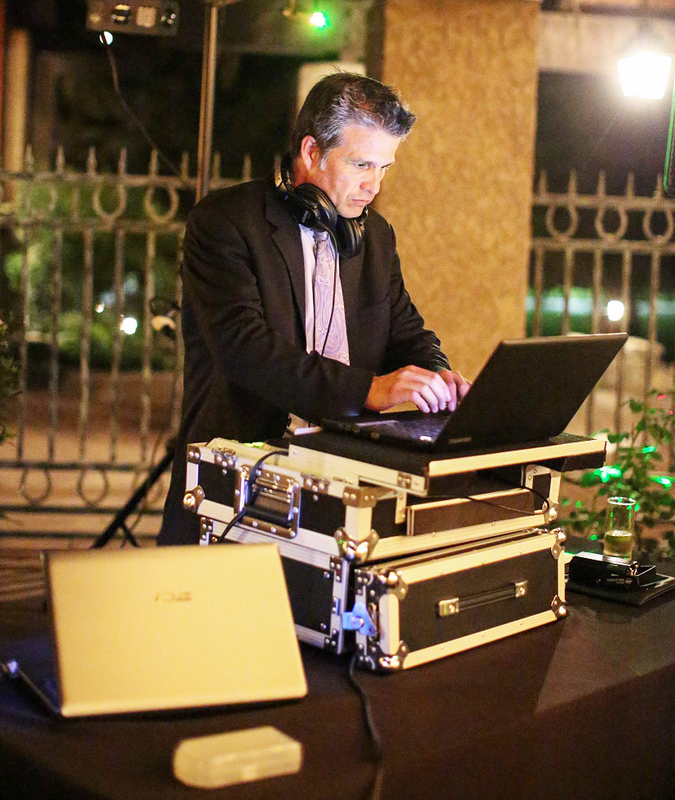 DJ can also mix all music styles for receptions, dinners and other segments of the event. 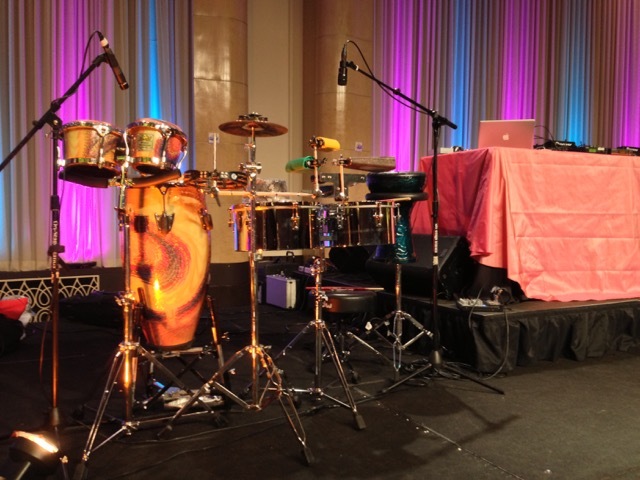 Take DJ'ing to the next level by incorporating live drumming, other musicians and dancers while spinning. Have him spinning alone or playing percussion while DJ'ing, or adding live players- i.e. 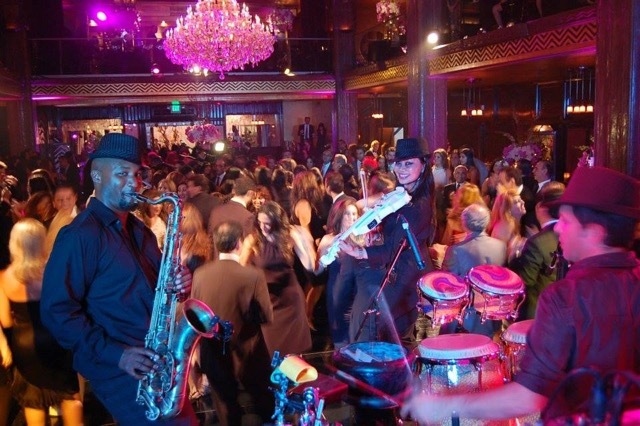 Percussion, Drums, Violin, Woodwinds, Guitar, and Dancers to create a larger than life energy and get people on the dance floor. He plays mainstream hits and crowd pleasures, as well as word and ethnic music from around the globe, and is fantastic at reading the crowd and playing what's most appropriate at that time. Musical tastes and preferences are discussed prior to event to ensure 100% satisfaction. This high impact entertainment production team has been seen at over 5000 events, providing professional DJs, VJs, MCs, Party Pumpers, sound reinforcement, lighting effects, video enhancements, trussing and staging. 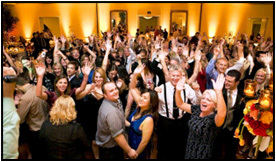 Keeping the fun non-stop, "party pumpers" are paired with the DJs as interactive crowd pleasers to keep your guests involved, dancing and loving every minute. Their many ways to motivate include group dances and contests (Cha Cha Slide, Swing, Chicken, Macarena, etc. ), fun games and activities with beach balls, hula hoops, limbo, and much more. 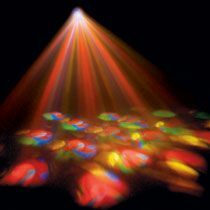 Whether you are in the market for solid mobile DJ talent, computerized lighting, or a production complete with a LED Video Wall, they have a large inventory of special effects and lighting that is continuously evolving to the latest trends and technology. Combined with experience, a knowledgeable creative staff and added value services, these DJs are the winning choice for your next event. They are a good fit for 25 to 1000 guests, ranging from corporate events, mitzvahs, school dances, fashion shows, carnivals, birthdays, tradeshows and weddings. DJ Eric can handle every event from the standard party to the most complex needs for a worry free production experience from the initial planning stages through completion. Services include: Audio Visual Production, Lighting Creations, Business Presentations and Interactive Group Entertainment. His experienced technicians can turn any room or outdoor venue into an awards show. A rock concert. A video dance party. Or an historic event. 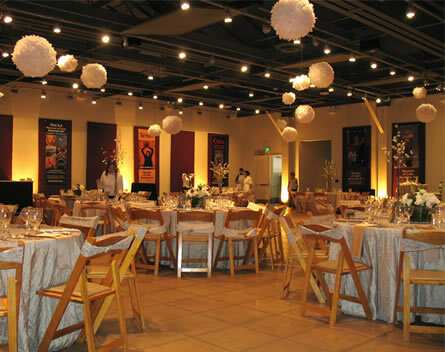 Lighting packages: Choose from intelligent lights, sync chase lights, fog machine, mystic centerpiece beam effect, strobe lights, sunray star beam effects, and 10' to 20' truss light rig. 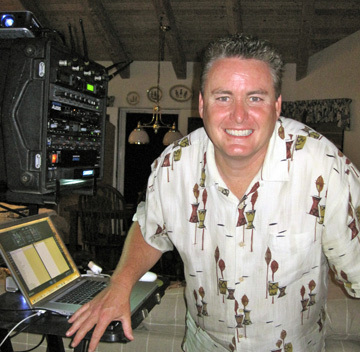 DJ Gregg will keep your party moving with the latest dance hits and old favorites from Big Band to Hip Hop. Options include his truly awesome Club Light & Smoke package to bring the club scene and excitement to any event. Also available are videography, screen and projector rentals and up lighting to shine lights up the walls of your venue, under you or a sweet heart table to make the table cloths glow and create a classy effect. Dance floor intelligent lights move and change designs with the beat of the music. Bubble Machines, Mirror Balls, or Smoke Machines can give your event just that little something extra. 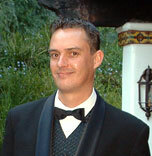 Greg is familiar with many southern California venues. 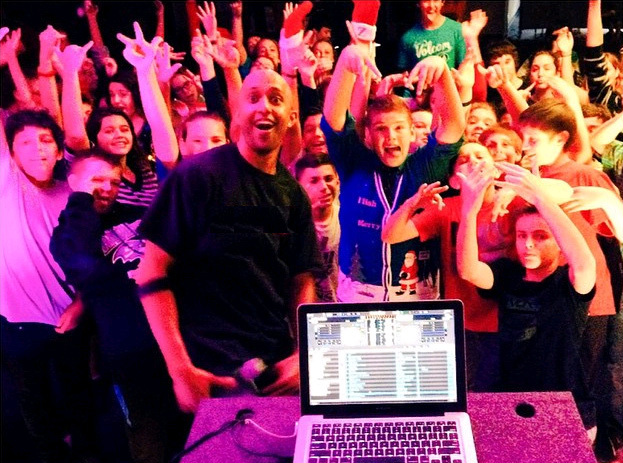 He DJ's all types of events from birthday parties to school dances and weddings. 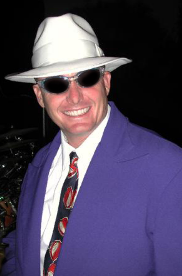 His outgoing personality will make sure your event runs smoothly. His music library is one of the best -- whether it is Big Band, Classic Rock, or New Wave it is hard to stump him and ask for a song he doesn't have. 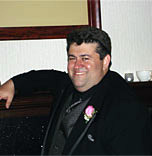 Eric has an amazing and friendly personality, your guests will love him. 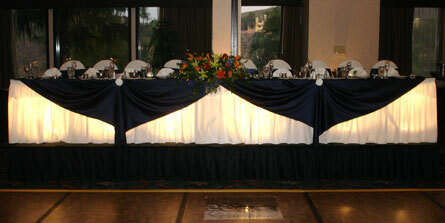 He specializes in more mature groups such as 40, 50, and 60 year old birthday parties and anniversary parties. He has recently upgraded to a digital system and his music library consists of over 80,000 songs including about 2,000 for Karaoke. 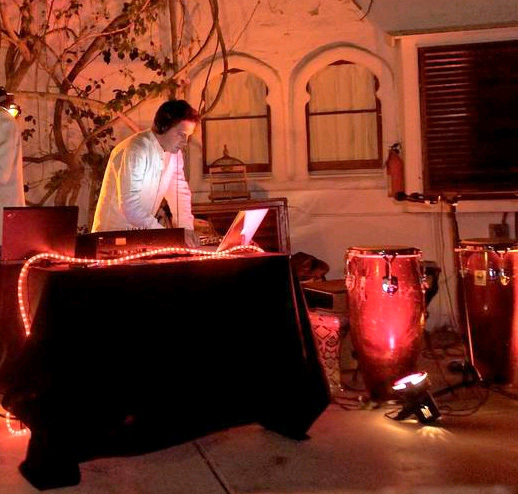 Jake has DJed many events across Southern California and has gotten lots of positive feedback. His system is a combination computer and CD system and his music library is about 35,000 songs which gets updated regularly so he always has the newest music that is available. With 8+ years of experience, he is a great addition to any event. Chris runs off of a combination computer and CD's and has a music library of about 35,000 songs. 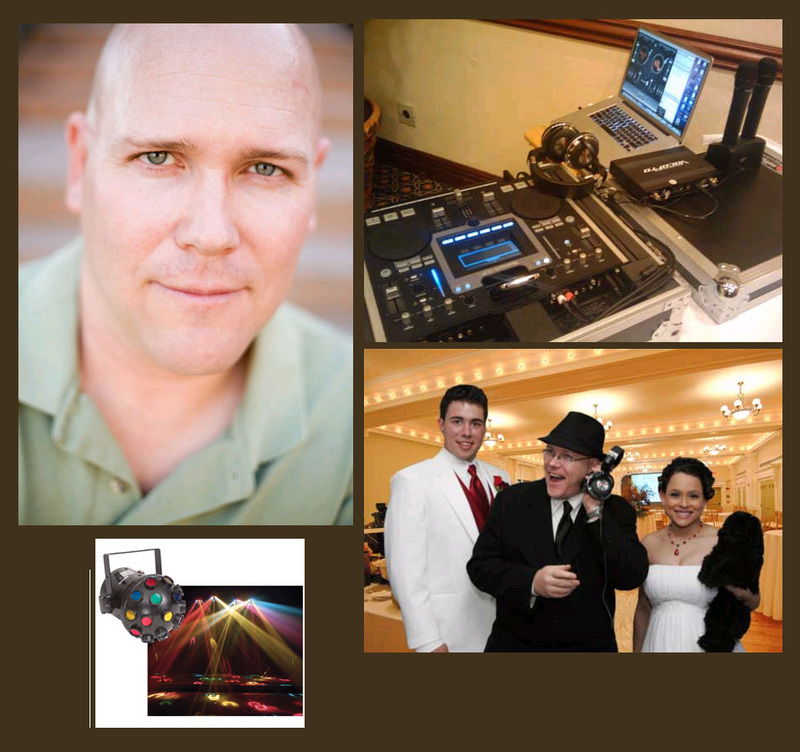 DJ Neil provides professional services, a good sound system and clean entertainment. Superior customer service is his absolute top priority. Light package of eliminator E134 lights which can be set to the beat of the music can be included.